When choosing a heating system, you need a professional to walk with you so that you can make the right decision. Engineers from Eco Efficient Dundee are ready to provide all the necessary information for new central heating installations or replacement services. Your heating needs determine the size of boiler that you need. For a small premise, you need a small boiler and a lower number of radiators. Nowadays, you have the option of going green even with the boiler that you choose. Eco Efficient Dundee is dedicated to environmental friendly options. Regardless of your energy needs, we ensure that you get an A-rated boiler. The boiler will help you to save on energy bills as it is environmental friendly. Our engineers are experts in installing renewable energy powered heating options and modern smart boilers. The two options guarantee lower energy consumption. The size, brand and type of boiler determine the cost of the boiler. We are known as the best heating company in listening to customers and helping them to find a cost efficient heating alternative depending on their budget. We help our customers to identify their heating needs, we determine the suitable size of the boiler and lastly, we identify the best boiler brand depending on the price and quality. We are happy when you are satisfied after making an informed decision. Servicing – Regular boiler servicing is the most effective strategy of ensuring your boiler works all year round. Eco Efficient Dundee services boilers of all types. An inefficient boiler consumes more energy. Before we carry out boiler repair services, we inform you of the damage, the extent and all the available solutions. If your boiler needs power flushing or the valves and pumps need to be replaced, trust our engineers to use the best method to ensure a long lasting solution. For any part that we need to replace, we will source it from leading manufacturers. After servicing, we carry out a comprehensive safety check to ensure your boiler is operating at maximum efficiency and that it is safe for use. 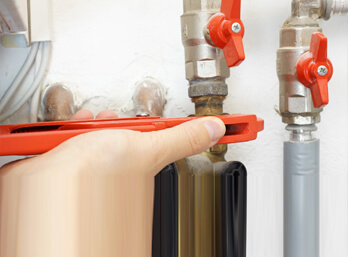 Repairs – It is normal for boilers and heating systems to breakdown due to one reason or the other. Contact us for immediate repair services at your convenience. 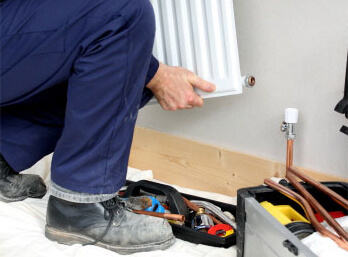 Eco Efficient Dundee engineers provide same day boiler and central heating repair services. Our top-notch services address heating and boiler problems from the source during boiler inspection and servicing. The result of boiler servicing is instant, affordable and reliable. 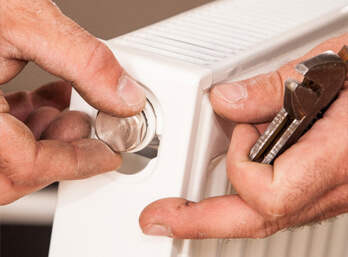 We have polished up our expertise in repairs over the last 10 years and we are confident that we can work on any make or model of heating system and boiler. Our engineers always deliver quality services using our state of the art tools, genuine parts and unparalleled experience and expertise in repairs. Count on us whether day or night to revamp your system. Gas and Boiler Leaks – Corroded pipes, loose valves and faulty thermostats trigger gas leaks. The effects of the leaks can lead to health issues, death and damage to valuables. To prevent serious and costly effects, we respond fast with a sure solution. We are Gas Safe Registered so you can trust our solutions and services. Eco Efficient Dundee engineers deal with all leaks once and for all; no recurrent leaks anytime in the future! Installation – Investing in a modern and efficient heating system is important but not enough for an uninterrupted warm home during winter. The installation process plays a key role in determining the efficiency of your boiler or heating system. At Eco Efficient Dundee, we rely on trained, qualified and experienced boiler and heating systems installers. They are trained by leading heating system manufacturers on any new advancement in central heating and boiler installation. We follow the manufacturer’s rules on how to install the systems for maximum efficiency. If you need someone to help you select the best system, we will map and design your premises to determine what fits your needs before boiler and central heating installation. Our installation service is as efficient for new installations as it is for replacement services. We are waiting for your call: we are ready to deliver same day quality services or upon agreed time frames. Whether you live in Ninewells, Monifieth, Longforgan, Monikie, or Tealing, our engineers will reach you when you call us. We have mobile service vans in these areas manned by experienced engineers. You do not have to call us twice because we will respond to you the first time you call us. Anytime our engineers provide a service, there is never a need for repeat service for we provide quality services. Call us and we promise to provide unparalleled boiler services.